Everyone loves Austin. People can’t help but tell friends how cool this city is and folks from all around the country are moving here in large numbers. The book Austin, Texas: A Photographic Portrait and its associated blog highlight many of the best things about Austin. 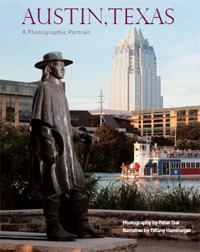 Published in May 2011, the book features photos of more than 100 Austin attractions including beautiful parks, skyline views, historic buildings / statues, cool murals, trendy food trailers, Austin Music institutions, and cultural destinations. 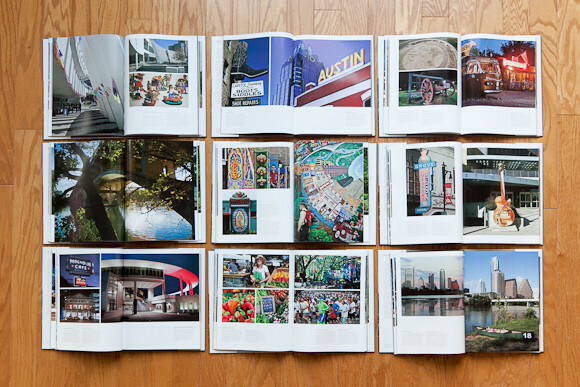 Long time Austin residents and huge fans of the city, both the photographer and writer tell the story of Austin from a local point of view in the 128 full-color pages of this coffee table book. And since we all know a picture is worth a thousand words, the the image below give you an idea of what the book is all about. The book Austin, Texas: A Photographic Portrait is on sale now both online and in local Austin bookstores. What better way to remind yourself of fun times in the capital of Texas than to highlight one of it’s most unique dishes? Breakfast tacos are a Tex-Mex staple that fuels the more than million residents of Austin, Texas. 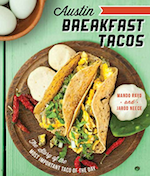 So whether you’ve never heard of the dish before, or if you consume a bacon, egg, and potato taco on the regular, this book will introduce you to the history of breakfast tacos, and introduce you to many of the people and restaurants that make this beloved cuisine. 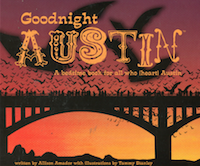 For kids and the young at heart, this is a beautifully-illustrated “bedtime story for those who heart Austin.” And as you can tell from the cover art of the bats flying out from the Congress bridge, this book is all about things to do in the ATX. And from Barton Springs, to the Texas Capitol, to food trucks, to wildflowers, this book has captured so many of the things there are to love about the city. Austin has always been a constantly growing and changing city. To truly understand how far the capital of Texas has come over the years, it helps to reflect on the past. 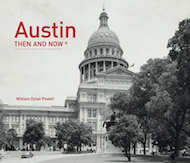 This book is unique because it provides a bit of a history lesson by showing both new and old photographs of the same Austin landmarks and locations side-by-side to give you a sense of how things are now, versus how they used to be. If you want to learn more about Austin, We’ve talked about many of the reasons why Austin is great on our blog.